When You or a Loved One Has Been Involved in a Massachusetts Car Accident, You Need to Choose an Expert Cape Cod Car Accident Lawyer or Cape Cod, MA Auto Accident Wrongful Death Attorney. Our Cape Cod, MA Car Accident Lawyer Specialists Can Be Reached 24/7 at 617-787-3700. Cape Cod, Massachusetts, known to Massachusetts locals as “The Cape,” consists of the eastern part of the Commonwealth of Massachusetts that extends into the Atlantic Ocean. Cape Cod, MA is one of the world’s largest barrier islands, which helps to protect Massachusetts cities from storm waves. 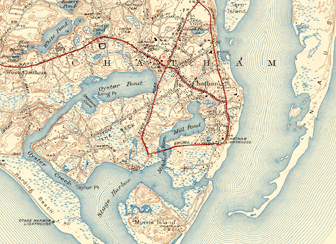 Cape Cod includes 15 towns: Falmouth, Provincetown, Truro, Eastham, Brewster, Sandwich, Harwich, Bourne, Mashpee, Dennis, Barnstable, Yarmouth, Orleans, Wellfleet and Chatham. While Cape Cod’s permanent population is only about 230,000 people, The Cape typically experiences a rush of tourists on weekends and throughout the summer. Water sports such as fishing, sailing, swimming and jet-skiing are popular activities for these visitors. Its beautiful beaches also make Cape Cod a common location for vacation homes. Visitors traveling in motor vehicles from mainland Massachusetts cross over the Cape Cod Canal into Cape Cod through the Bourne and Sagamore Bridges. 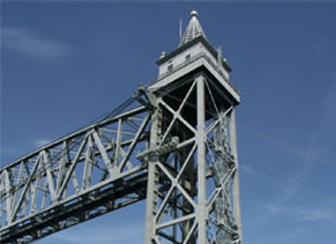 The Cape Cod Canal Railroad Bridge provides access to freight trains and other common carriers. Our Cape Cod Car Accident Lawyer Experts Are Available 24/7. Please Call Our Cape Cod, MA Auto Accident Wrongful Death Attorney Specialists at 617-787-3700. Our seasoned Cape Cod, Massachusetts car accident injury lawyers and Cape Cod, Massachusetts wrongful death lawyers are proud to represent residents of Cape Cod, and have represented many Cape Cod personal injury accident victims over the past 25 years. We look forward to helping Cape Cod residents with their car accident injury claims. Our Cape Cod, MA auto accident attorneys understand the numerous issues that all Cape Cod car accident victims face, like obtaining medical treatment and fair and just compensation for victims’ injuries and losses. Our Cape Cod, Massachusetts car accident attorneys have been helping and assisting Cape Cod auto accident injury victims for over 25 years. Our litigation experience, knowledge and skill, combined with our devotion to our Cape Cod clients, enables our Massachusetts automobile accident law firm and Massachusetts wrongful death law office to produce consistently excellent results for our Cape Cod and other clients. Our Massachusetts car accident lawyers and Massachusetts wrongful death lawyers are devoted to providing all of our clients with incomparably superior service. Our devotion to you is clear in our fee arrangement with our Cape Cod, MA and other personal injury clients – we don’t get paid until you obtain just compensation. The Law Offices of Gilbert R. Hoy, Jr. and Affiliates is an expert Massachusetts personal injury law firm and Massachusetts wrongful death law firm, representing Cape Cod, MA residents that have been injured in Massachusetts automobile and other accidents through no fault of their own. Our Cape Cod, Massachusetts personal injury attorneys can handle all types of Cape Cod, MA personal injury claims. Please Call Our Cape Cod Car Accident Lawyer Advocates 24/7 at 617-787-3700. Our Cape Cod, MA Auto Accident Wrongful Death Attorney Experts Are Just a Phone Call Away. Your Needs Are Our Top Priority!